India is a land where spiritual masters and mystics have blossomed from time to time, sharing their spiritual experience and knowledge for the benefit of all. They have explored a variety of spiritual, religious and philosophical dimensions to unravel the meaning of existence and significance of life. This book throws light on a rarely-studied aspect of Indian spirituality, its women mystics. 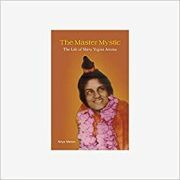 The work is an account of the life of a master mystic, Shiva Yogini Amma, a woman who traversed new realms of experience in her spiritual quest. It is a record of her life from her birth to her attaining the nirvikalpa samadhi and after, and her teachings. It details the process of her spiritual realization; a unique experience exploring spiritual states with a foreknowledge and mastery. It explains her understanding of spiritual concepts relating to form and formlessness, maya, reality. It deals with her method of using the body and mind to attain the goals of the spirit. Based on one of her first woman disciples, Satyananda Yogini's recollections, the account elaborates on life in Shiva Yogini Amma's ashrama. It examines her growth as a samnyasin by delving into her daily activities, trances, interactions with disciples, and her teachings, particularly yoga instructions, to learners. The book will be useful to all those interested in spirituality or in studying it as a subject.